Anglers looking for an edge or rather a better view while fishing may be interested in a new real-time HD fishing camera which has been created Dmitry Chursin based in Valencia Spain. 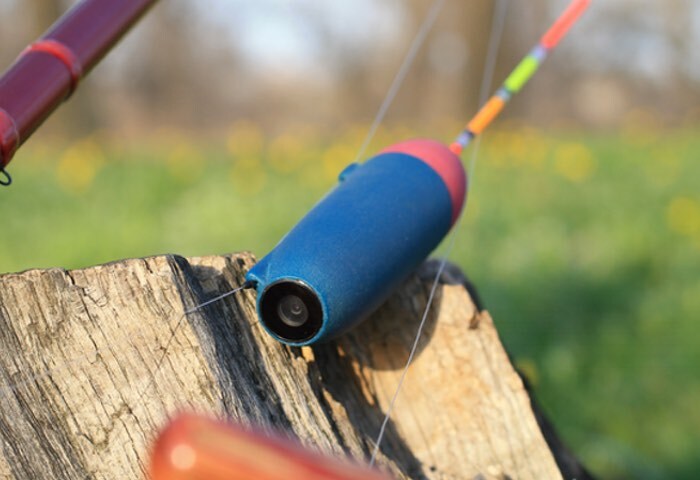 The fishing camera is sneakily enclosed within a fishing float and allows you to see a top-down view of your bait and prey, as the events unfold, good or bad. Allowing you to change your rod and tackle setup depending on what you see, and your luck throughout the day. The FanCam as the fishing camera has been named connects wirelessly to your smartphone or tablet device using a companion iOS or Android application and provides a streaming video of everything that is going on underneath the waves. Watch the video below to learn more about its design, inspiration and construction. The Fishing FanCam is a complete, autonomous, fully wireless device in a waterproof, floating case. Its main purpose is to broadcast live HD video directly to your mobile device: smartphone, tablet or laptop. You can also save the stream to the memory of your device or gadget and share it with your friends. The Fishing FanCam is ideal for lovers of active fishing, like fly fishing or spinning fishing. This great device will be useful for float rod fans, because it enables you to see whether fish are interested in your bait in real time. It is very easy to use the Fishing FanCam and broadcast live video, via Wi-Fi, directly to your gadget; a smartphone or a tablet, running iOS or Android. There is no need for an internet connection, as you can use Wi-Fi as the way of signal translation. There is no mixed buttons or display on the float. You simply install the battery in the float and it instantly creates a Wi-Fi Access Point. Connect to the Wi-Fi installed network Fishing FanCam N_ (serial number), launch the application and immediately start seeing the live video! For more information on the new HD fishing camera jump over to the Kickstarter website for details and to make a pledge from just €62 for super early bird backers by following the link below.